Landau UK are delighted to have won the contract from Portsmouth Naval Base Property Trust to refit and refurbish one of the last remaining landing crafts – Foxtrot 8 – which was used during the Falklands conflict. This project is being funded by the Chancellor using LIBOR funds and is part of the Trust’s wider “Memorial Fleet” project. The Memorial Fleet project will create an operational Memorial Fleet of small historic craft which have played a significant role in the defence of the nation during the Twentieth Century – from the First World War to the Falklands. Foxtrot 8 served aboard the Amphibious Assault Ship HMS Fearless in the Falklands conflict in 1982, and landed 3 Commando Brigade at San Carlos Water, the notorious “bomb alley”, during the night of 21 May as part of Operation Sutton. 3 Commando Brigade, reinforced by 2 Para and 3 Para, then marched across East Falkland to Stanley. 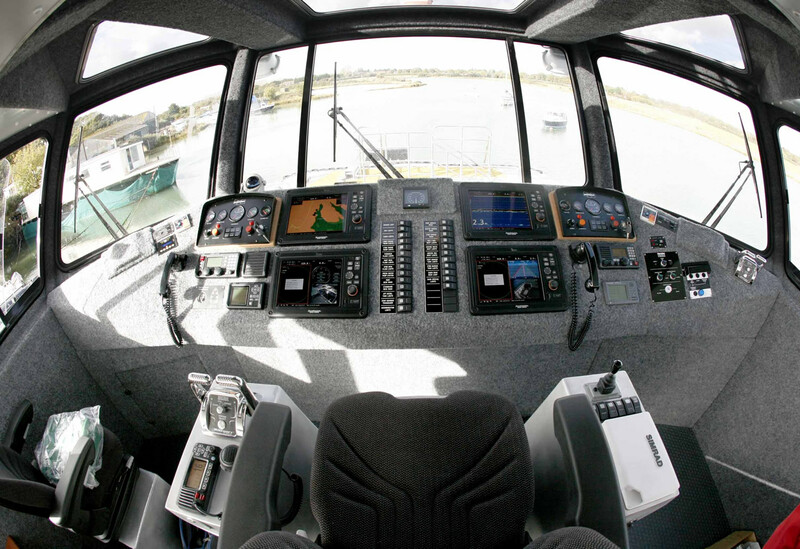 Foxtrot 8 can carry 35 fully equipped Royal Marine Commandos or two land rovers. 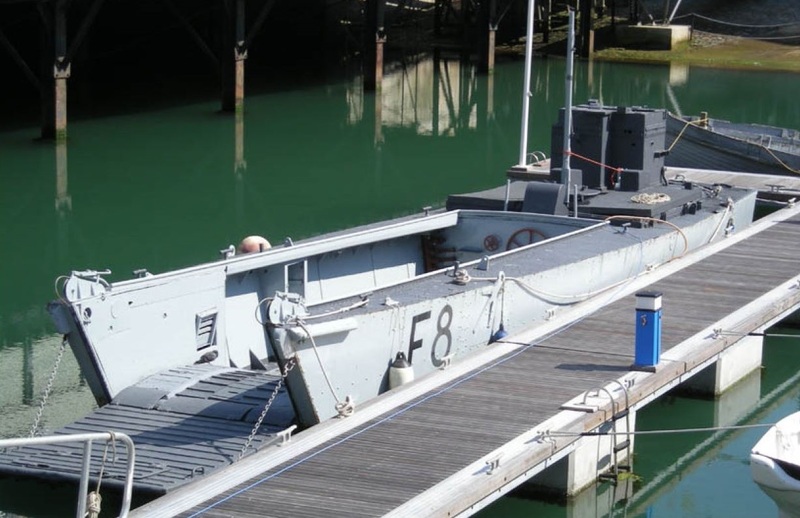 She was one of four assault craft of this type taking the pennant numbers F5 – F8, that were carried on davits on HMS Fearless and is currently housed in Boathouse 4. Landau UK will use their 25+ years’ experience and knowledge and work incredibly closely with the Portsmouth Naval Base Property Trust and their volunteer workforce, many of whom are armed forces veterans, to get this vessel restored back to her former glory. Landau UK’s Commercial Division are delighted to confirm that they will be exhibiting, once again, at DSEI for 2019 – Stand Number S10-235. DSEI brings together the entire defence and security industry to source the latest equipment and systems, develop international relationships, and generate new business opportunities. Held every 2 years DSEI 2017 was a major success with more exhibitors and educational content than ever before. During the 4 days DSEI will host around 300 seminar sessions and keynotes across seven theatres, four strategic conferences and a range of live demonstrations, facilitating knowledge sharing and networking around key topics and technical areas. Landau UK Commercial will be showcasing the latest range of commercial marine products and services, including the award-winning smart kill cord ‘Lifecord’, thermal imaging cameras plus much more. Come and visit us on Stand S10-235. As the official distributor, Landau UK Commercial is delighted to announce that the smart kill cord ‘Lifecord’ has today been nominated as one of the final round products for the Dame Awards 2018 in the Lifesaving and Safety Equipment category. The Dame Awards is the most significant marine equipment competition of its kind, anywhere in the world. For 28 years, it has focused attention on the art and science of design in all aspects, from styling, functionality and innovation, through to ease of implementation, practicality of use – and even packaging. It is judged by a panel of top naval architects, boat, interior and industrial designers, plus user experts. To be nominated and then to win a DAME Category and attain the ultimate prize of DAME Award Overall Winner marks a product as being at the pinnacle of design practice in the industry. The category winners and overall Dame Award winner will be announced on the morning of the first day of the METSTRADE Show which is being held from the 13-15 November 2018 at RAI in Amsterdam. Last night was a double celebration for Landau UK Commercial as they won not one but two awards at the prestigious European Commercial Marina Awards 2018 at Seawork International. Landau UK Commercial entered the Lifecord, which is a newly designed kill cord providing the certainty and reliability of a tethered connection between a boat’s engine ignition kill switch and pilot, ensuring the vessel’s engine stops should the pilot be inadvertently thrown from the helm, into the Innovations Showcase in the category of ‘Safety and Training’ and were delighted to win this category award. It was then announced that Landau UK Commercial had also won the much coveted overall ‘Spirit of Innovation’ Award. Ben Metcalfe, Chief Executive, explained, “The Lifecord is a unique design that works with any vessel switch and detects when it is being worn, via a waterproof, tension sensoring device – perfect for the commercial marine sector. 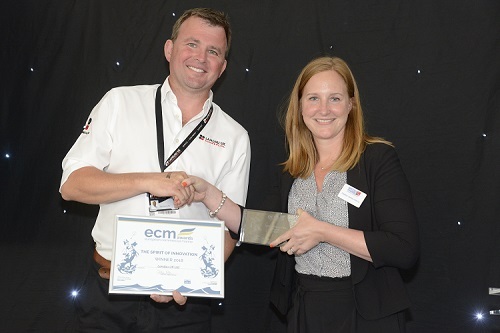 We are absolutely delighted to have won the category and Spirit of Innovation Awards at last night’s Seawork International ECMA Awards Ceremony. Winning the awards reinforces that there is a gap in the commercial marine market which the Lifecord can fulfil and will without doubt save many lives”. We are looking for several Marine Engineers – including electrical, engineering (engine servicing etc.) and general maintenance for retrofit, maintenance and repairing of vessels from the trade, commercial and leisure marine sector. The roles will be based out of the Landau UK Head Office in Swanwick Marina, Southampton but there will be an element of travelling as and when required. The roles require individuals who are able to use their own initiative, who are good communicators with an eye for detail and a passion for quality. If you are interested in finding out more about these roles please email ben@landauuk.com or call +44 (0)1489 577588. Landau UK are delighted to be once again exhibiting, at METSTRADE 2018 and would like to invite you to join us in the British Pavilion, Hall 3 on Stand 03.212. The Marine Equipment Trade Show will be held from 13-15 November 2018 at the RAI Exhibition Centre, providing a key industry event over three days. Landau UK will be showcasing the latest range of commercial marine products and services, including Efficiency, Coding and Safety, Service & Maintenance, Equipment, Support and Installation. Find out more about METSTRADE 2018. Come and visit us on stand 03.212. Landau UK are delighted to announce that they have been awarded the prestigious accolade as the UK’s only official distributor of the new Seabob Rescue. The new Seabob Rescue has been specifically designed for rescue operations at sea, on the coasts, in standing or flowing inshore waters, or even as a surveillance scooter for water sports events. It’s operational anytime and anywhere and the ease of mobility makes it independent of fixed rescue stations. In rescue operations with dangerous currents occur, the Seabob distinguishes itself through its patented E-Jet Power System which cuts effortlessly through tide and current. The Seabob Rescue is the perfect rescue vehicle for immediate response due to its low overall weight meaning in any emergency situation, a single lifeguard can carry the Seabob Rescue using his own muscular power. Landau UK have been working with Cayago who produce the Seabob and Seabob Rescue for a number of years, providing customers across the world with the latest and full range of Seabobs and accessories. 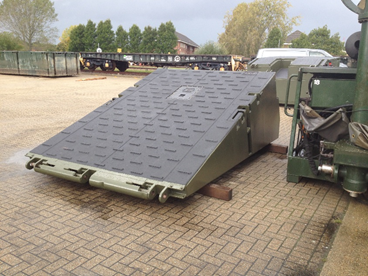 Recently Landau UK provided a Seabob for use in Jason Statham’s latest action movie ‘Mechanic Resurrection’. For further details on the Seabob Rescue call Landau UK on +44 (0)1489 577588 or email service@landauuk.com. Landau UK are delighted to be one of the only marine services companies in the UK to be certified for the new ISO 9001:2015 with a UKAS Certification Body. Landau UK has and will continue to ensure its processes and systems are adapted and improved to meet the highest quality system standards, improving not only management of internal processes, but also and more importantly ensuring customer focus and delivery of customer excellence. Ben Metcalfe, Chief Executive commented “As a business we saw the benefits of being one of the first marine businesses in the UK to show our commitment to the new ISO standards. We have worked extremely hard to ensure our systems and processes are in place and our staff are fully trained. For further details on Landau UK please call +44 (0)1489 577588 or email service@landauuk.com. 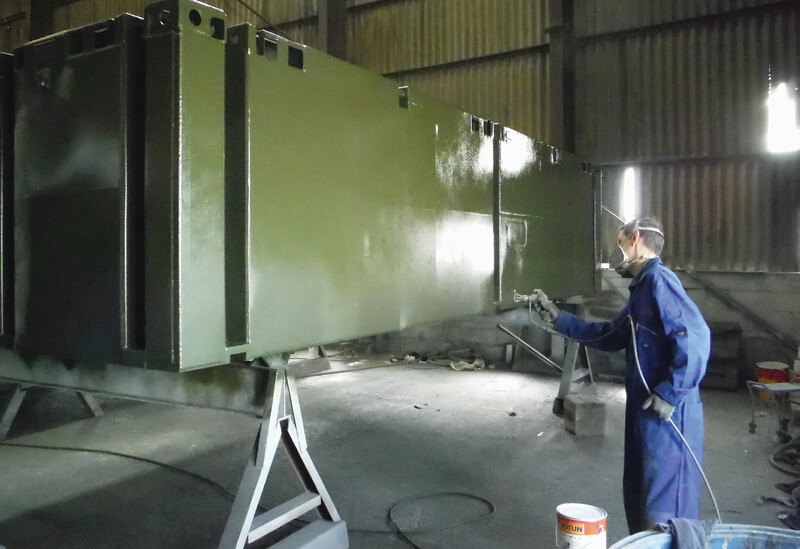 Following many seasons of low maintenance, the Mexeflotes from 52 Squadron in Marchwood were in need of a bit of TLC in order to get them fully operational. Landau UK Commercial through Babcock were approached to inspect the Mexeflotes and put togetjer an action plan to ‘make them good’. Landau UK Commercial set about repairing the Mexeflotes. A completely new epoxy paint system was introduced, as were new non slip decking with many samples sent to the end user to make sure we hit the right combination of grip and durability. 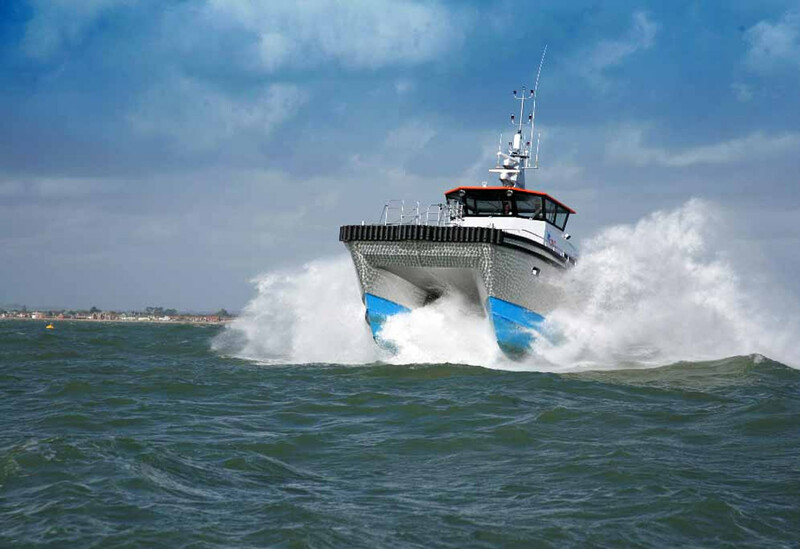 Landau UK, specialists in delivering award winning installations, refits, remodel and restoration of equipment and systems to all leisure and commercial marine vessels, are delighted to have won a 3 year contract with Defra and the Marine Management Organisation (MMO) to provide engineering services for the testing of engine power of fishing vessels around the UK. Landau will use its expertise and skill set to ensure that the EU Regulations 1224/2009 and 404/2011 which require fishing vessel output is recorded correctly on its registration and whilst on fishing licence. This testing, which will be undertaken at sea, will determine the overall UK fishing fleet capacity in terms of power, at any one time. Landau UK will measure shaft torque and revolutions per min (rpm), as well as engine power calculations using established constants for the properties of the steel in the shaft. The recorded information will accurately access the output of the engine at the shaft. 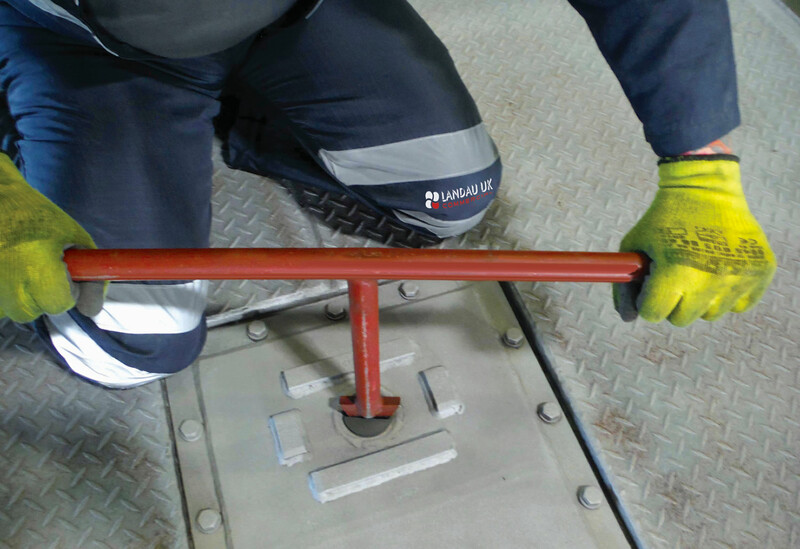 Landau’s investment in this equipment can be used on any shaft driven vessel for a variety of purposes from proving engine performance to fault diagnosis. 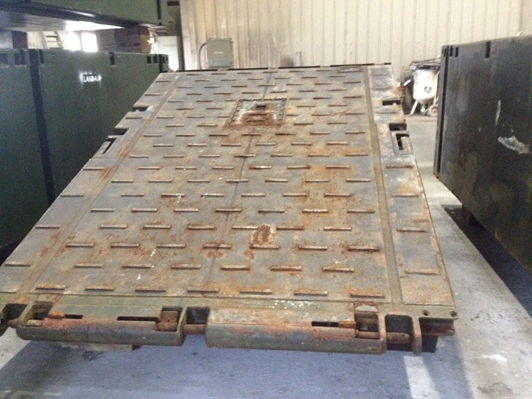 Landau UK repaired, serviced and made seaworthy the Cheverton Champ after severe storm damage. 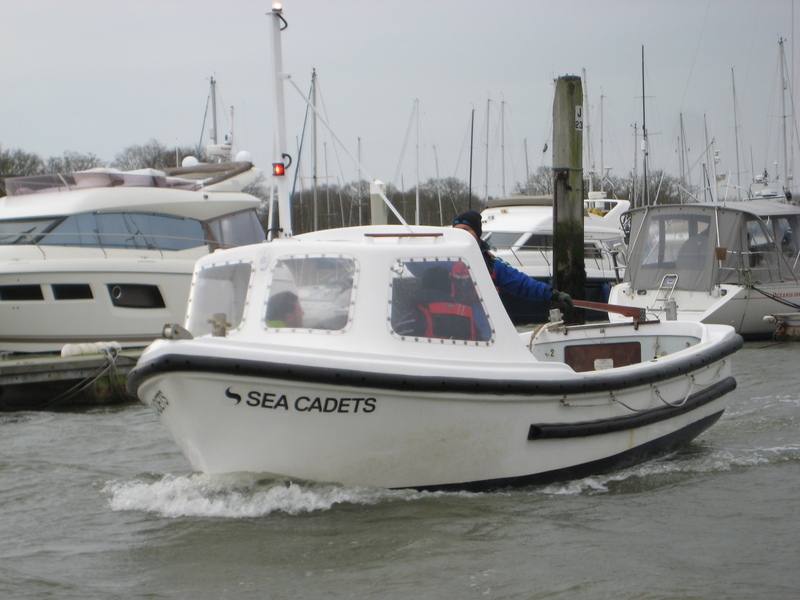 A local based Sea Cadet unit from Warsash were without one of their workboat training vessels when it suffered severe damage after being ripped from its mooring, leaving it in an unseaworthy state. Working in partnership with Babcock, the Cheverton Champ vessel was one of the projects Landau UK were appointed to repair and service in order to make it seaworthy again and preventing it becoming a write off. This was all achieved within budget. 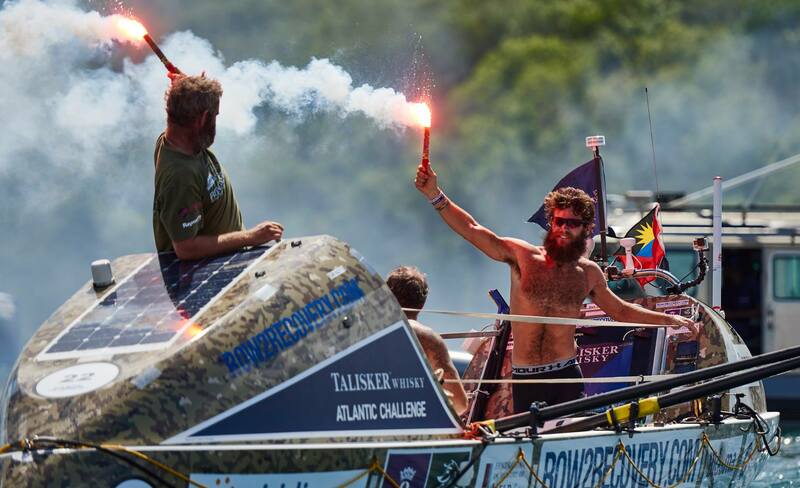 CONGRATULATIONS ROW2RECOVERY - THEY DID IT! Congratulations to Row2Recovery, the first all amputee team to cross the finish line of the world’s toughest rowing race. 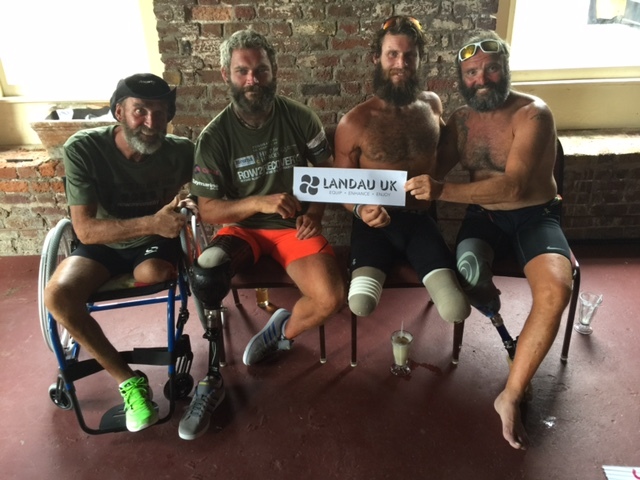 Landau UK are proud sponsors of Row2Recovery, a team of four; Cayle Royce, Paddy Gallagher, Nigel Rogoff and Lee Spencer, who completed the Talisker Whisky Challenge in 46 days 6 hours and 49 minutes. Row2Recovery completed the arduous challenge to raise funds for Help for Heroes, Blemsa and Prince Harry’s Endeavour Fund. The crew received a congratulatory call via Skype from Price Harry shortly after their arrival. Leading marine retrofit specialist Landau UK are proud to launch their new out of hours support service. 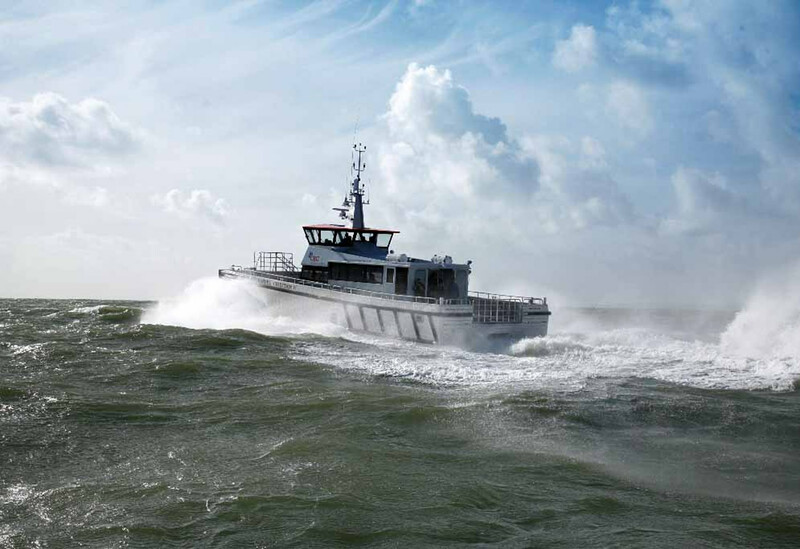 As a full service provider, Landau UK Commercial has recently established strong relationships within the commercial side of the marine industry and defined its new commercial arm during 2014, working with the likes of Babcock, the MOD and other similar maritime partners. 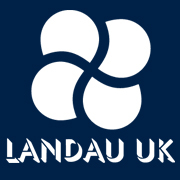 Landau UK commercial are now furthering their commitment to continually go beyond. 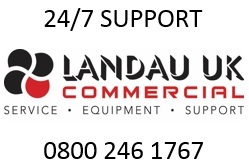 Landau UK’s 24/7 telephone support is free of charge, the service is only chargeable if an engineer has to come out to your boat. 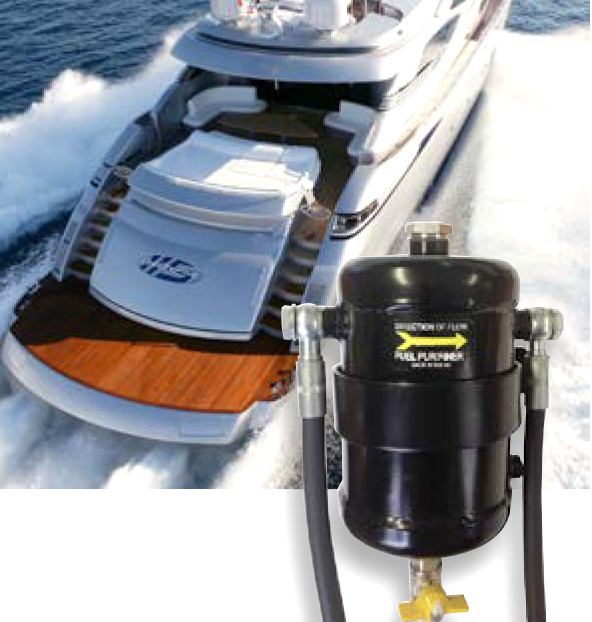 Originally tested in the haulage and plant industry and now well received into the marine industry in 2013 by commercial boat builders, Landau UK is proud to be showcasing the latest Fuel Purification System, a great addition to a Fisherman’s vessel. The MLS Fuel Purifier is designed to remove both water and solid particulates from even the dirtiest, most contaminated fuel, prolonging an engine’s life. Installed between the fuel tank and the primary fuel filter/water separator, the MLS Fuel Purifier acts as the first line of defence by removing water, dirt, sludge and grit. Call Landau UK on +44 (0)1489 577588 or email service@landauuk.com. As the number 1 in global maritime satellite communication antenna systems, Landau UK is proud to be showcasing the compact and powerful marine satellite TV antenna systems from Intellian. The idea downtime solution for fishing crew wishing to sit back and relax on those long trips. Intellian’s i-Series provides outstanding TV reception, that makes watching TV on-board easier and more enjoyable than you ever imagined. 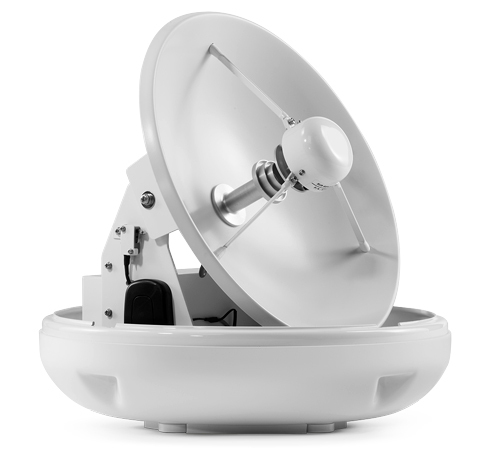 The Intellian i3 provides superior tracking performance compared to antenna systems of a similar size. 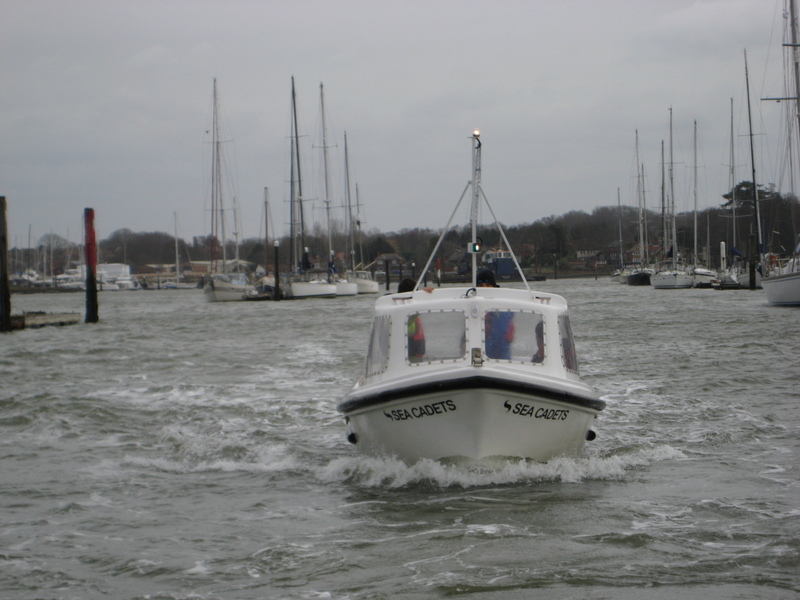 With its stylish dome, the i3 is ideal for boats over 8 m (25 ft). The i3’s high signal gain makes it the best performing 37 cm (15 in) antenna system available today. Power and efficiency makes the 14 the most popular 45 cm (18 inch) Satellite TV system for pleasure boats, fishing boats, workboats and commercial vessels approximately 12 m (35 ft) to 20 m (60 ft) in length. With easy installation, its user-friendly operation and powerful performance, tuning into your favourite TV channels couldn’t be easier.